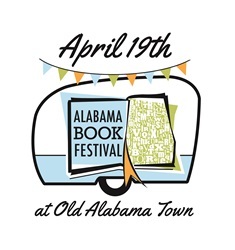 Some fifty-five authors will converge in Montgomery’s Old Alabama Town on April 19th for the 9th Annual Alabama Book Festival. During the free, daylong, family-friendly festival authors will read excerpts, answer questions, and be available to sign books. Local independent bookseller Capitol Book & News provides books for the festival at an onsite store in the Grange Hall. According to coordinator Gail Waller, the Alabama Book Festival also offers something for aspiring writers this year. “For those wishing to write and publish their own work, festival-goers can sign up in advance for two free, hands-on workshops,” Waller said. At 9 a.m. award-winning author Donald Anderson leads The Fundamentals of Fiction, and at 1 p.m. New York Writers’ Workshop co-founder Charles Salzberg presents Getting Your Work Published. Both workshops take place in the Loeb Center adjacent to Kiwanis Park and require pre-registration online. On the Festival’s website, people will also find the complete author lineup, with brief biographies of each, hours and location of the workshops, and all other festival details including site maps and parking information. A few weeks before the festival, a complete schedule will be posted. Waller said that Mark Victor Hansen, probably best known as the co-author for the Chicken Soup for the Soul book series and brand will appear. “We are lucky to have Mr. Hansen with us this year as a headliner,” Waller said. He will present his latest books, You Have a Book in You and Chicken Soup for the Soul: Readers’ Choice Anniversary Edition. According to Waller, Hansen’s You Have a Book in You underscores the Festival’s commitment to involving writers as well as readers in the annual event. Another major name in nonfiction is popular memoirist and Mississippi Delta native Clifton Taulbert, whose first book (and motion picture) was Once Upon A Time When We Were Colored. He has since published twelve books, including the Pulitzer-nominated The Last Train North and the award-winning Eight Habits of the Heart. Taulbert’s latest work The Invitation, published by Montgomery’s NewSouth Books, is billed with the intriguing teaser that it addresses “what happened to the children of The Help.” Taulbert is a popular inspirational speaker and is expected to draw a large crowd to the festival’s Church venue in the South Block. Another notable prose writer includes native Anniston author Brandt Ayers, chairman and publisher of The Anniston Star, whose syndicated column, Out Here, is carried by some thirty newspapers. Ayers will discuss his memoir In Love with Defeat: The Making of a Southern Liberal. Alabama food blogger Stacey Little is the author of The Southern Bite: 150 Irresistible Dishes from 4 Generations of My Family's Kitchen. Little's deep Southern roots have him firmly planted in central Alabama where he lives with his wife, little boy, two dogs, and collection of cast iron skillets. Little will appear on NBC’s Today show on Sunday, March 30, during a series of programs on cooking. Other nonfiction writers of history and natural history include Prof. Dan J. Puckett of Troy University, whose In the Shadow of Hitler: Alabama Jews, the Second World War, and the Holocaust, connects Alabama to world history, and R. Scot Duncan, whose lavishly illustrated Southern Wonder: Alabama’s Surprising Biodiversity, features an introduction by Alabama native and Pulitzer Prize winner E.O. Wilson. Written for the layperson, Southern Wonder interweaves the disciplines of ecology, evolution, and geology into an explanation of why Alabama is home to more species than any other state east of the Mississippi River. The Children’s Activity Area, adjacent to the North Tent and managed by the Montgomery City-County Public Library, features exhibitors, costumed characters, and hands-on activities for kids. This area includes books for all ages by a diverse group of authors, including F.T. Bradley, author of the middle-grade mystery trilogy featuring junior secret agent Linc Baker. Double Vision: Code Name 711 is the second book in the series. Georgia author Deron Hicks, who specializes in the mysteries of Shakespeare for his middle grade readers, will present his latest—Tower of the Five Orders, a sequel to Secrets of Shakespeare’s Grave. Michael P. Wines, a biology grad student specializing in the Red Hill Salamander, Alabama’s state amphibian, presents his tween novel Stupid Alabama. In this book, readers meet a nerdy sixth grader from Brooklyn who spends a summer in Alabama with his Uncle Petro and learns what’s stupid, and what’s not through a series of adventures on their drive south. For younger readers, Otis Goes to School by Nashville author Ashley Bramlett will appeal to dog-lovers ready for a beginning chapter book. Headlining in the South Tent is California children’s author Wendelin Van Draanen, who has written more than thirty novels for young readers and teens. She is the author of the long running Edgar-winning Sammy Keyes series and two four-book series for younger readers, Shredderman and The Gecko & Sticky. She and her husband, Mark Huntley Parsons, a magazine writer and young adult book author, will discuss their books, the writing process, and how they’ve managed to share the same office for twenty years without bloodshed. 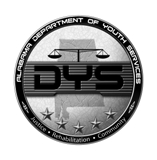 Other areas include fiction and poetry for adults. Popular fiction writers appearing this year include Pinkard, Alabama, native and best-selling novelist Cassandra King, international bestseller and Harper Lee Award recipient Sena Jeter Naslund, Fairhope writer Roy Hoffman, North Carolina novelist and memoirist Elaine Neil Orr, and award-winning Southern novelist Deborah Johnson. Widely acclaimed Christian fiction writer Stephanie Perry Moore has published more than 35 books set in the South, including series for young and middle-grade readers in the Alec London and Morgan Love series. Her adult novel is Wearing My Halo Tilted. In the Poetry Tent, native Birmingham poet and associate professor at the University of New Haven Randall Horton will read and discuss his poetry with Alabama Writers’ Forum Executive Director Jeanie Thompson. As part of the Festival’s outreach to youth, Horton will visit schools in Birmingham and Montgomery Wednesday-Friday before the festival. Horton’s visit to Alabama is funded in part by a grant from South Arts in partnership with the National Endowment for the Arts and the Alabama State Council on the Arts. Other poets featured include Cave Canem Poetry Fellow and founding member of the Affrilachian Poets, Kelly Norman Ellis, now of Chicago, who will also work with teachers on Friday at the Festival’s teacher workshop at Troy University, Montgomery Campus. Other poets appearing are Robert Collins and T.J. Beitleman of Birmingham; Sue Brannan Walker, Celia Lewis, Vernon Fowlkes, and Mary E. Murphy from Mobile (all published by Walker’s Negative Capability press); Keetje Kuipers of Auburn; and emcee/poet Abraham Smith of Tuscaloosa. In addition to authors presenting their work and signing books, the Festival offers participatory activities including two large-format crossword puzzles, one on literary topics and one on books adapted to movies in 2014. Festival favorite Amos Kennedy, now of Detroit, returns to demonstrate traditional letter press printing, and offer his posters for sale. The festival’s more than sixty exhibitors include publishers, self-published authors, and literary support organizations. Food vendors will offer snacks, sandwiches, barbeque, and soft drinks. “We could not offer our community, and the whole state of Alabama, the largest single literary event of the year without the help of our sponsors,” said Waller. Major sponsors of the 2014 Alabama Book Festival include the City of Montgomery, the Alabama State Council on the Arts, Troy University, the Alabama Humanities Foundation, Capitol Book & News, Old Alabama Town / Landmarks Foundation, and the Alabama Writers’ Forum. 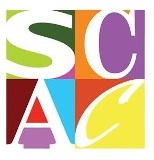 Additional sponsorship is provided by the Support the Arts Car Tag fund, Vulcan Materials Company, the Montgomery City-County Public Library, Sweet Home Alabama (the Alabama Bureau of Tourism and Travel), the Alabama Library Association, River City Publishing, South Arts, the National Endowment for the Arts, and the Montgomery Advertiser. Festival grounds open at 9 a.m. with the fiction writing workshop and Montgomery writer / publisher Randall Williams’ discussion with high school and college readers of Weren’t No Good Times: Personal Accounts of Slavery in Alabama from 9-10 a.m. All other festival author venues open at 10 a.m. and run until 4 p.m. The workshop on Getting Your Work Published is 1-2 p.m. A special event takes place in the church in the South Block at 4 p.m., featuring the collaborative story and music project The Shoe Burnin’ and including several Alabama authors featured in the southern storytelling anthology. The festival is free and open to the public. For further information or to volunteer visit the Alabama Book Festival online.